If you think eating Whole Grain is boring - think again! 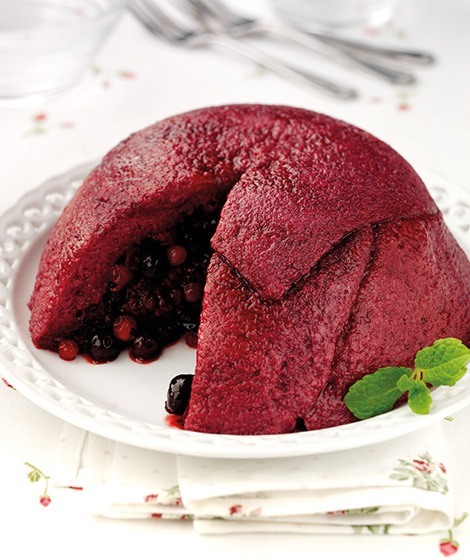 Try this beautiful wholemeal summer pudding. NOTE - this recipe needs to be left overnight before serving. Heat the fruit with the honey and 2 tbsp water for 3-4 minutes until softened but fruit remaining whole. Drain (keeping the juice) and cool slightly. Meanwhile, remove the crusts from the bread. Dip 6 slices of the bread in the juice and use to line the sides and base of a 1.2 litre pudding bowl, overlapping the edges slightly. Pour in the fruit and press down slightly. Dip the remaining bread in the juice and place on top, folding over the edges slightly to completely seal in the fruit. Pour over a little of the remaining juice. Place a small saucer on top of the bread and weigh down with a weight or can and leave overnight in the fridge before upturning onto a serving plate. Autumn fruits can be used instead of summer fruits. Try serving with fresh fat-free Greek-style yogurt as a healthier alternative to cream. Serve the left-over juice as a sauce with the summer pudding.